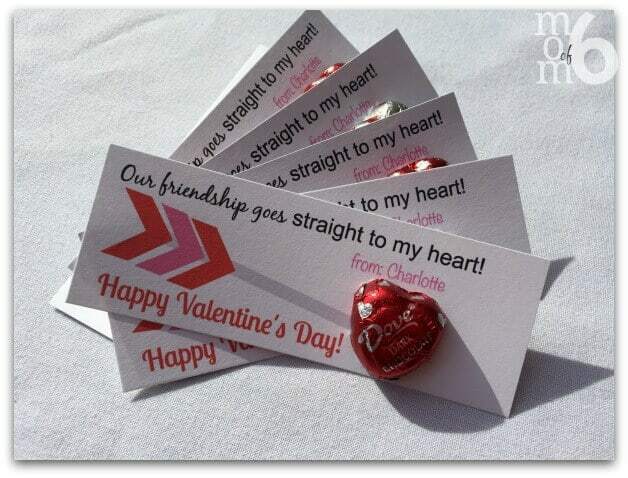 3 Sweet Printable Valentines Cards for School! Don't just run out to the store and purchase those generic SpongeBob/Star Wars/Wonder Woman Valentines cards for your kids to hand out at school this year! 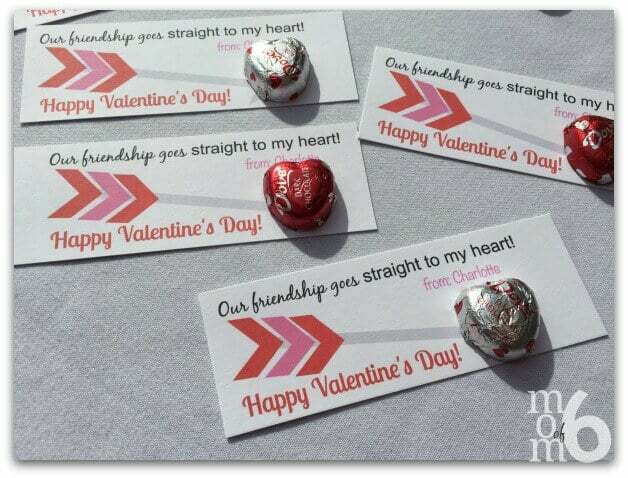 I've got 3 sweet printable Valentine's cards for school that will make your kids the stars of their classrooms! I think I might have set the bar too high around here. No sooner was I taking down the Super Bowl-themed decorations, than my kids were already asking me what I planned to create for Valentines Day. So before I headed off for this week's grocery shopping, I surveyed the crowd and asked what kind of sweet treats they might like to give out to their friends this year. And there was no unanimous decision. In fact, my daughter asked for Dove chocolate hearts (and she was quite specific about this). And my younger two asked for Nerds. 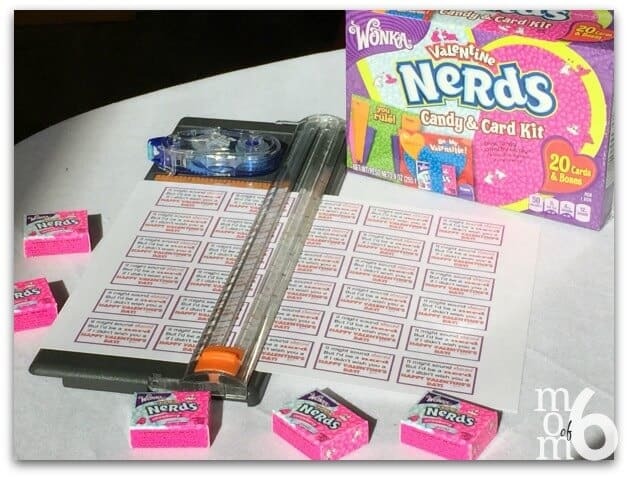 You see, Santa was kind enough to place giant boxes of Nerds candy in each of the kids Christmas stockings this year. But I suppose that Santa didn't realize that virtually no child on the planet can shake out a small palmful serving of these tiny candies without spilling a small quantity onto the floor. 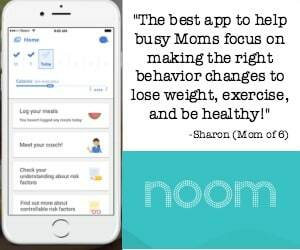 At which point they bounce, roll, and generally make their way under every surface and into every nook and cranny in the house. I have been cleaning up these little Nerds in far greater quantity and for far longer than I have been vacuuming up pine needles left behind by the Christmas tree. And apparently- this shall continue. Because of Valentines Day. 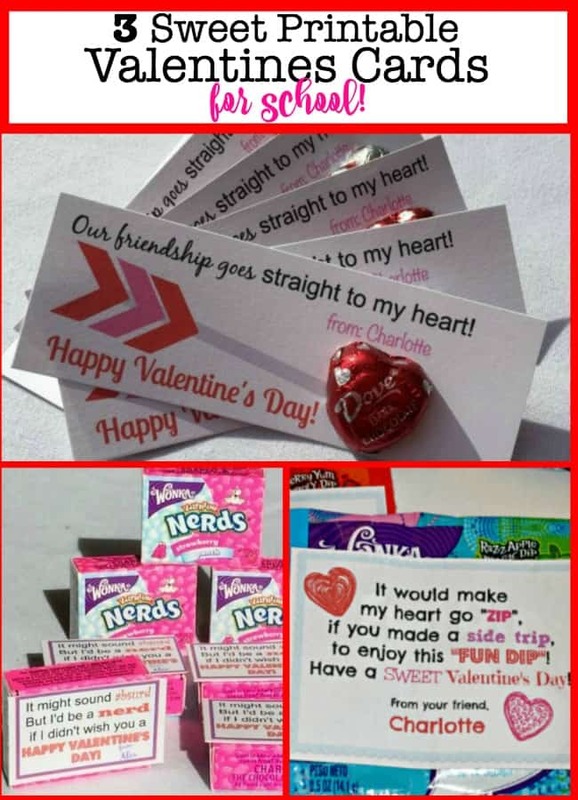 But we cannot simply gift a small box of candy to our friends at school without coming up with a cute way to do so. Perhaps an expression of friendship, a small yet clever poem would be fitting? 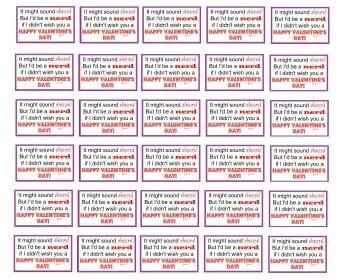 And you can download these free printable Valentines cards at the bottom of this post! 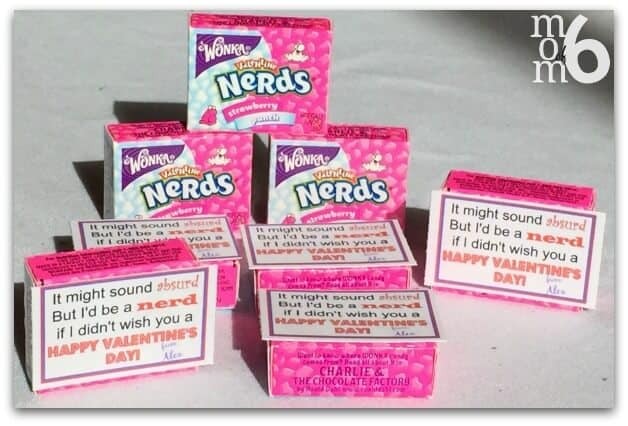 Obviously, you'll need the candy of choice- either the Nerds or the Dove hearts, which can pick up at your local grocery store. I also like to use cardstock This is an affiliate link: MomOf6 earns a commission if you purchase, at no additional cost to you. for my printables since it gives them a little more structure. And either of my home printers can print on cardstock paper without a problem. 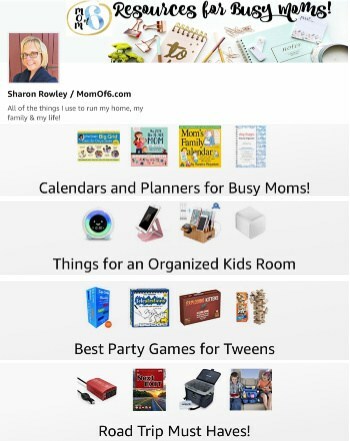 I also love to use my scrapbook paper trimmer This is an affiliate link: MomOf6 earns a commission if you purchase, at no additional cost to you. to quickly cut out tags with nice straight lines. 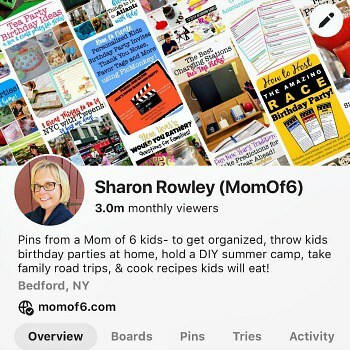 And I use glue dots This is an affiliate link: MomOf6 earns a commission if you purchase, at no additional cost to you. to secure the Dove hearts onto the cardstock. 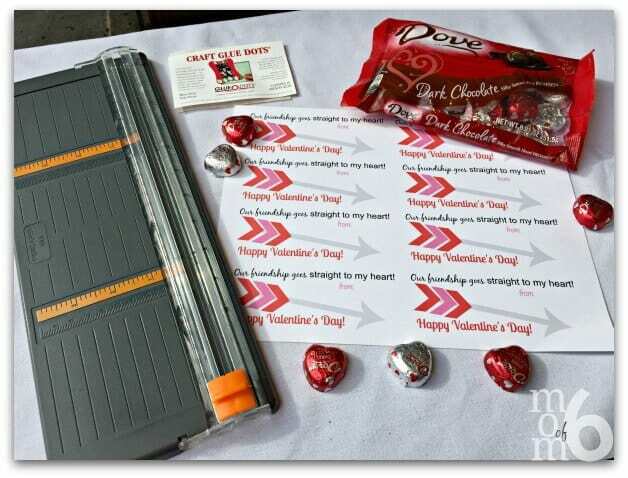 For the Nerd boxes, I used my regular scrapbook roller adhesive This is an affiliate link: MomOf6 earns a commission if you purchase, at no additional cost to you. to attach the cardstock to the small box. 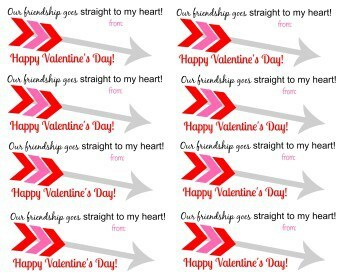 My kids really love this year's Valentine's cards for school…. and I am patting myself on the back for my craftiness! Because what child doesn't love sugar on a stick served with a side of sugar? 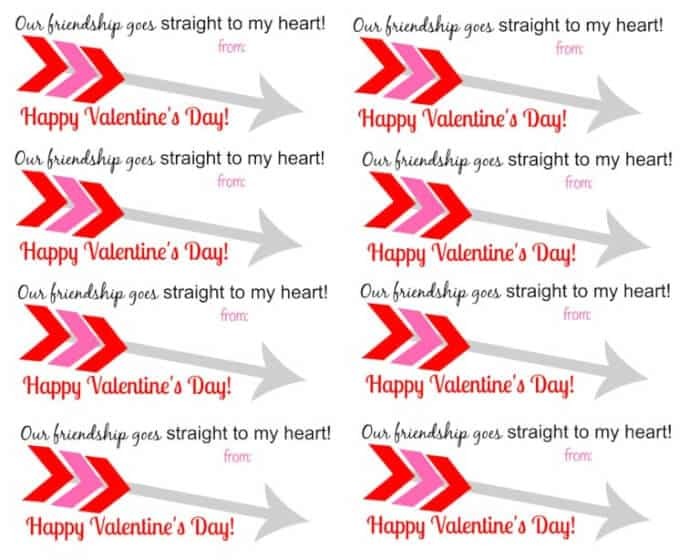 Do you want to get these free Printable Valentines Cards? 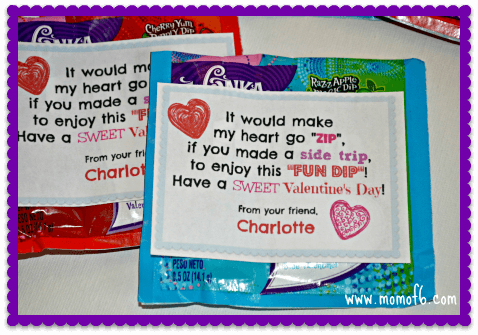 Valentines Day Games: Free Printable Charades / Head Up! Game for Kids! 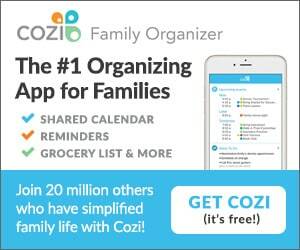 Are your kids looking forward to Valentine's Day this year?